Daffodil Day will take place on Saturday, April 14 from 9 a.m. to 4 p.m.
On Saturday, April 14, Moorestown will be in bloom as the the third annual Daffodil Day returns. 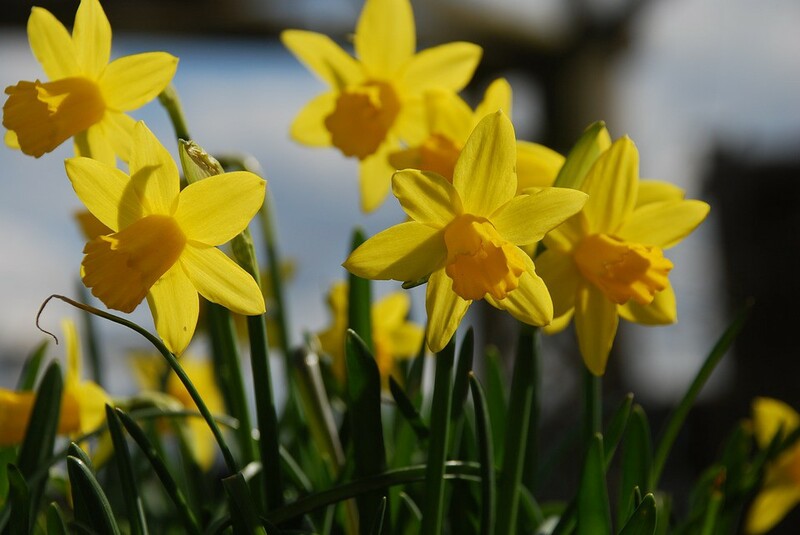 The businesses along Main Street will adorn their storefronts with fresh daffodils in what has become the town’s spring kick-off event. The day’s festivities will feature live music, art demonstrations, sidewalk sales, a pet costume contest, horse-drawn carriage rides and daffodil sales. McGrath said she was inspired by Daffodil Day on Nantucket and wanted to bring the event to Moorestown on a smaller scale. She said the event had such a “fun, festival feel” on the island that she consulted with the woman running the event about how she could organize a Daffodil Day of her own. Since starting the event, Daffodil Day has grown a little each year with more people becoming aware of it, McGrath said. While the Moorestown Business Association hosts Candlelight Night in November and Moorestown Day in June, there was a void of festivities along Main Street in the spring. She said ultimately the goal is simple: to bring residents downtown for a taste of what the local shops and restaurants have to offer. Daffodil Day is also an opportunity for local artists to get exposure for their work, according to Moorestown Creates committee member Wolf Skacel. He said Moorestown Creates’ goal is to provide artists with opportunities to display their work and talk to people about what they’re doing. As such, when Daffodil Day came on Moorestown Creates’ radar, they broadcast the opportunity to their artist base, Skacel said. This year, Moorestown Creates has seen an uptick in the number of Moorestown artists participating, with a variety of artists such as oil painters, watercolor artists, potters and more making their way to Main Street to showcase their work. Live bands will also have performances at Percheron Park. Bands include John & Pat!, Bobby LaRusso and Friends, Lost In Brunswick, The DeFused, Sax +1 and The Phenomenal Jericho Horns. Annette McGuire, vice president of the Moorestown Business Association, said the pet costume contest will also return to Daffodil Day this year. She said Moorestown residents love their pets, and a pet costume contest felt like something that would be well-received by the community. The top winner will receive gift cards from Main Street businesses. McGuire said after a long winter indoors, Daffodil Day is a chance for residents to get outside and welcome spring. “It’s a nice way to meet your neighbors and try to reconnect with your town,” McGuire said. Daffodil Day will take place on Main Street on Saturday, April 14, from 9 a.m. to 4 p.m.